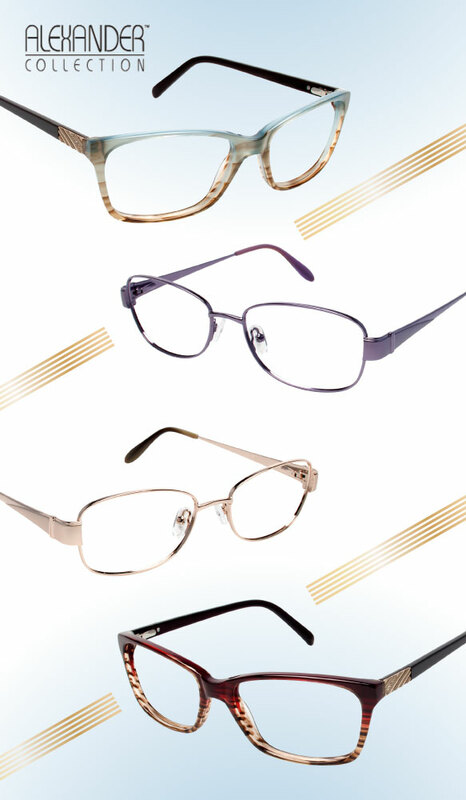 The freshly fabulous Alexander Collection specs are centered on purely sophisticated fashion. Simplistically graceful sleek rectangular and soft oval silhouettes are given a chic lift with ombré colorations, gold plate temple appliqués with Swarvoski crystals, as well as glossy and metallic effects. An elegant palette—of gold, radiant purple, muted blue, beige and crimson red—puts the finishing touch on these utterly gorgeous frames, which also come in petite sizes for ladies with smaller profiles! Get even more deets here.